It is exceedingly rare for first-year members of Congress to be placed on House committees as powerful as the Financial Services Committee. 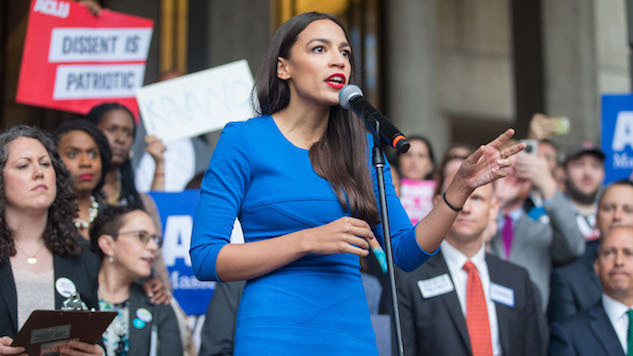 The appointment represents a vote of confidence from party leadership after Ocasio-Cortez was left off the House Ways and Means Committee, which oversees economic policy issues like taxes and spending. The Financial Services Committee is one of the most government’s most powerful regulating bodies when it comes to Wall Street. It played a key role in the formation of the historic Dodd-Frank legislation that aimed to secure the country’s financial sector after the crash in 2008. Ocasio-Cortez’s appointment makes her one of the most left-leaning committee members when it comes to economic policy and Wall Street. She ran her 2018 campaign without the help of corporate donors, and made breaking up big banks a central point in her platform along with sweeping economic reforms like the Green New Deal.